Escape to the West Coast with the strikingly sweet sensations of Cheeky Monkey Californian Pink. 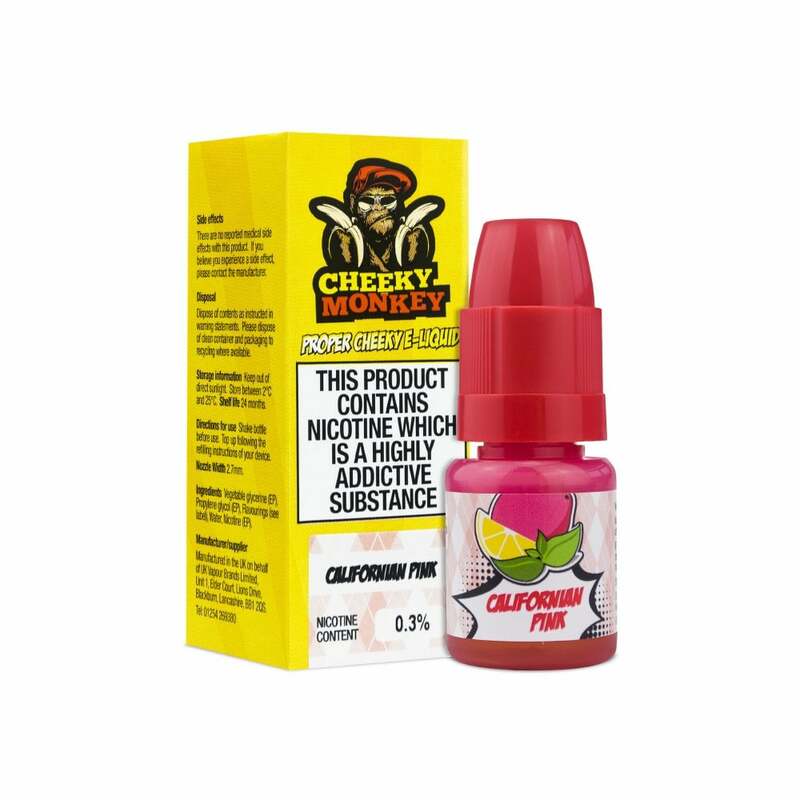 A perfectly balanced fusion of raspberry, strawberry and a fizz of pink lemonade, Cheeky Monkey Californian Pink e-liquid packs a punch with no monkeying around. Rich and sweet with no bitter aftertaste, the Cheeky Monkey Californian Pink experience is wonderfully refreshing on every level. Not my favourite but still nice. Absolutely amazing! Probably my new favourite liquid! Great taste...great price and super fast delivery!!! Thanks. Really love this flavour, very fruity!